Use the form below to contact accommodation Dhinasha directly. All rooms are with attached bathrooms, bidet, fresh water, AC fan and piped in music. Television with VCR is available in the foredeck, sitting room and restaurant. There are two restaurants/dining areas (Indoor and Outdoor). Kitchen is fully equipped for international cruising and our chefs are well trained and experienced to cater most demanding clients. There is one bar with variety of alcohol and soft drinks available on sale. Besides, international and local telephone service is also available. After dive all the clients are offered coconut and Maldivian dry fish free of charge. 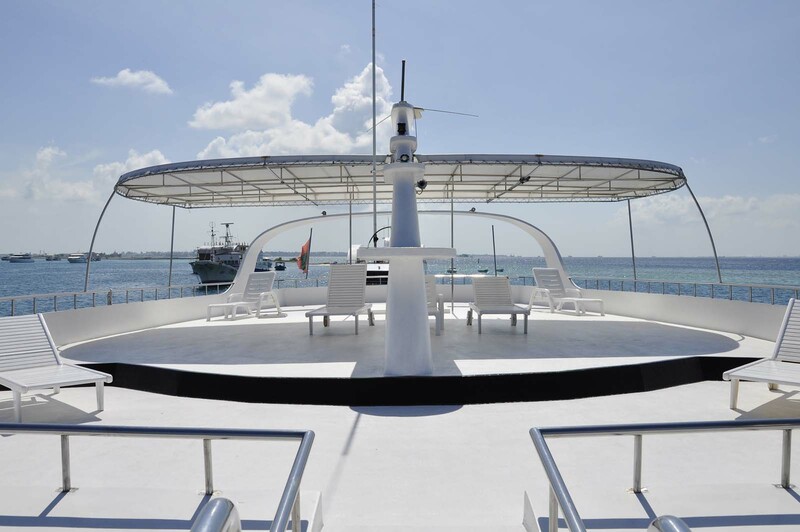 Apart from Diving, you can enjoy Cards, Caramboard, Big Game Fishing, Night Fishing, Snorkelling in various lagoons, Chess, Island Shopping to full moon parties on uninhabited islands depending on the weather. Electricity: Sound proof generators of 22 kW, 17.5 kW and 9kW. Revered as one of the world’s top scuba diving destinations, thousands of divers flock to the Maldives each and every year to catch a glimpse of the underwater wonderland, with thousands returning to continue exploring the mysterious depths of the Maldivian seas. 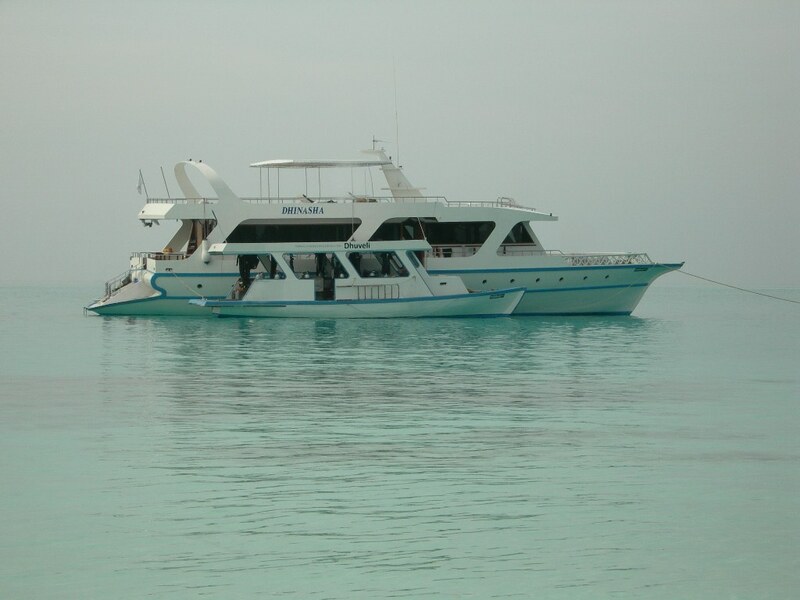 One of the best ways to experience the Maldivian waters is via a liveaboard safari, cruising around the islands with all the amenities needed, avoiding the need to travel from a resort to a different dive site everyday. 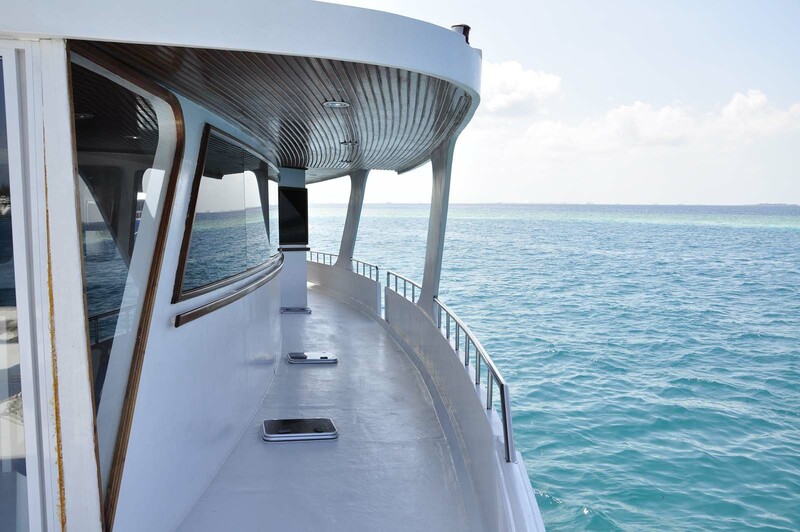 On a liveaboard, every day you wake up to a different dive spot and all that remains is simply getting into the water. Chilling out at a Resort. With only one resort per island, and with each hotel built to a certain standard, the Maldives has some really interesting policies regarding the establishment of resorts. The method results in an assortment of some of the most secluded, intimate, luxurious and spectacular resorts of the world. A quick search on google reveals the most romantic, gorgeous hotels anyone has ever seen. They are also among the most expensive hotel rooms in the world. However, if you have the money, it’s certainly worth it. Sunsets are the one of most spectacular things about the Maldives. As the night falls, life in the Maldives comes to an almost standstill with not a lot going on. So, make the most of a good sunset. Find a nice quiet spot on the beach somewhere, grab an ice-cold beer and watch the sun seemingly melt into the ocean. Unbeatable. Recently recognised as an international surfing destination, several international competitions have begun to take place. Realising the power of the Maldivian breaks, some resorts cater to surfers by taking them out by a boat to catch the best breaks. Snorkelling enables you to still experience the marvellous underwater world, even if you don’t feel like scuba diving. Equipment can be rented or borrowed from resorts, but it’s a good idea to bring your own snorkel gear from home to ensure a snug fit. The Maldives offers some of the best snorkelling in the world. Serving some of the freshest and most delicious foods, the Maldives is a paradise for seafood lovers. Here, you will find lobster, scallops, octopus, squid, tuna and all kinds of fish cooked in all kinds of ways. Whilst on holiday, don’t be shy. The Asian flavours of the islands often involve curry, coconut, and other spices. Give it a go, you won’t be disappointed. Odisons Holidays™ 2013. All rights reserved.